Meet your nightmares. Meet Annabelle. A few nights ago I watched The Conjuring. 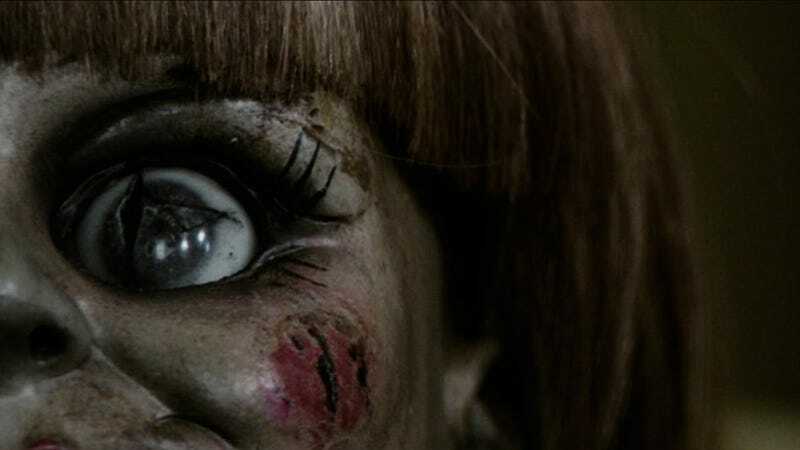 I really enjoy scary movies, so I had a blast watching it, and I'm looking forward to watching Annabelle (despite the reviews). I'm more of a psychological/thriller horror kind of guy, like Sinister, Insidious, The Purge, and my favourite Paranormal Activity. I'm in a bit of a lull now though. With Hallowe'en fast approaching I need to find some good scary movies to watch! My mission for you all, should you choose to accept it: What's the scariest movie that you've seen (or heard of) that you think I should watch? If scary movies aren't your thing, what's the funniest movie you've ever seen?